The Cedar Grove Lacrosse Club is a non-profit organization that was established in 2013. Our goal is to provide a fun and challenging opportunity for Cedar Grove boys and girls to learn and play the game of lacrosse. 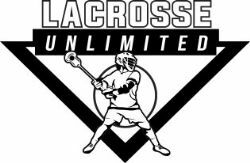 In addition, we support the mission of US Lacrosse, the national governing body of lacrosse, to develop and promote the sport of lacrosse by providing services to its members and programs to inspire participation, while preserving the integrity of the game. If you would like to become involved with our club please contact us at .